I can tell you, it was quite a literal mouthful those two days at five restaurants with us tasting over 30 … yes, 30, dishes. One after the other, plates of the best of Zola’s offering came out to the balcony where we chose to hang out. #nakakalula They said breakfast is the most important meal of the day and boy, did we have it packed and heavy. Race really loved the lechon kawali with its tasty veggie side dish, poqui poqui (that was a lot like babaganoush). 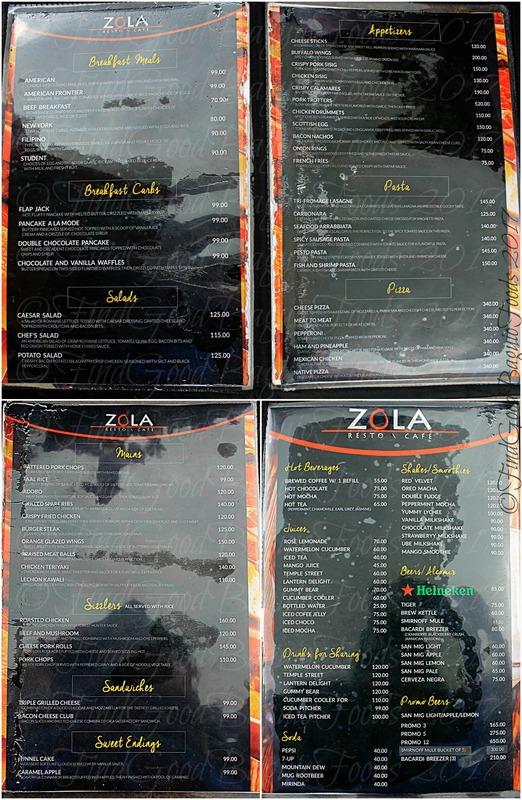 For (late) lunchies (we had to let the Zola foodstuff settle), we only had to walk a short distance to Drop Out. As heavy as our breakfast was and as full as the Dropout lunch made me, I couldn’t keep myself from getting another slice of the tres fomage pizza. Ohh, toasted-to-burnt cheese! Fabulous, dah-ling, just fabulous. It’s a new dawn, it’s a new eatsploring packed day which we started out with coffee. Get this, it’s ONLY P20 per cup. Ms. Kimberly wasn’t kidding when she said, a popular dish at Sala was the pork ribs with potato salad. When the oils of the meat met the potatoes, it was heaven. Whoo-zah! Yes to rice please to ensure we get all the sauces off the board. I’ve been meaning to come here for the longest time (just like Drop Out until recently,) and thanks to this eatscapade, we’re here! What a pretty place Hardin is. =D I really didn’t do it justice with these photos of Race and me. On a side note, they accept events bookings here. The resto/cafe/bar’s business operations begins at 6:00 p.m. and so your event can take place here the whole day … I’m talking, 8:00 a.m. till 5:30 p.m. Imagine that? Nice deal if you ask me. 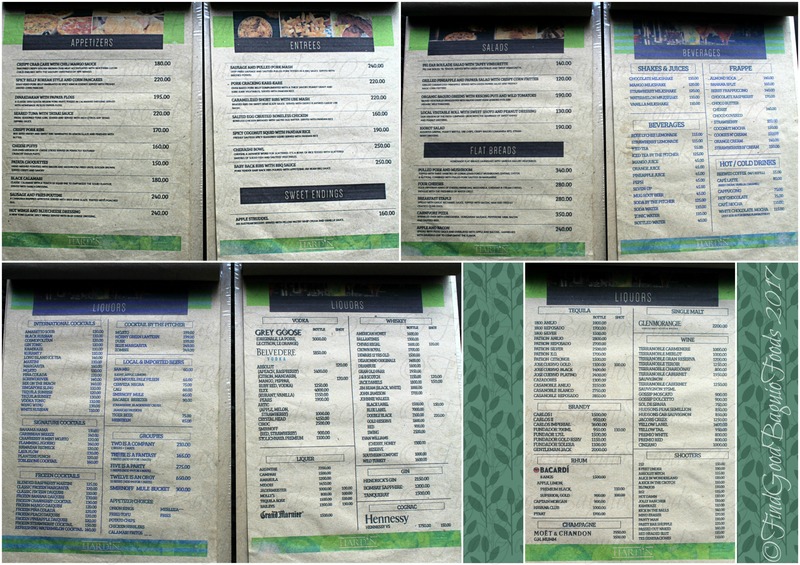 Why wouldn’t they when there are so many options at this garden themed eating place. Off of our food tasting menu, I liked the Korean style pork even if it really had a good kick to it, their flat bread pizza (I’m half wondering if it was the arugula on the slices that sealed the deal *tee hee), and the karekare made with bagnet. The Joint also has an updated menu since the last time we were here. Yey! It was the perfect place to cap the evening off as well as our two-day food adventure. Here we go with the pulutan. *sly grins everywhere Crunchy chicken skin, check! The meatballs with onion gravy was a hit with all of us too … if only for the gravy. =) Another round of rice for this please. ♪ ♫ FOOD, GLORIOUS FOOOOOD ♪ at all five restocafes, maaan. 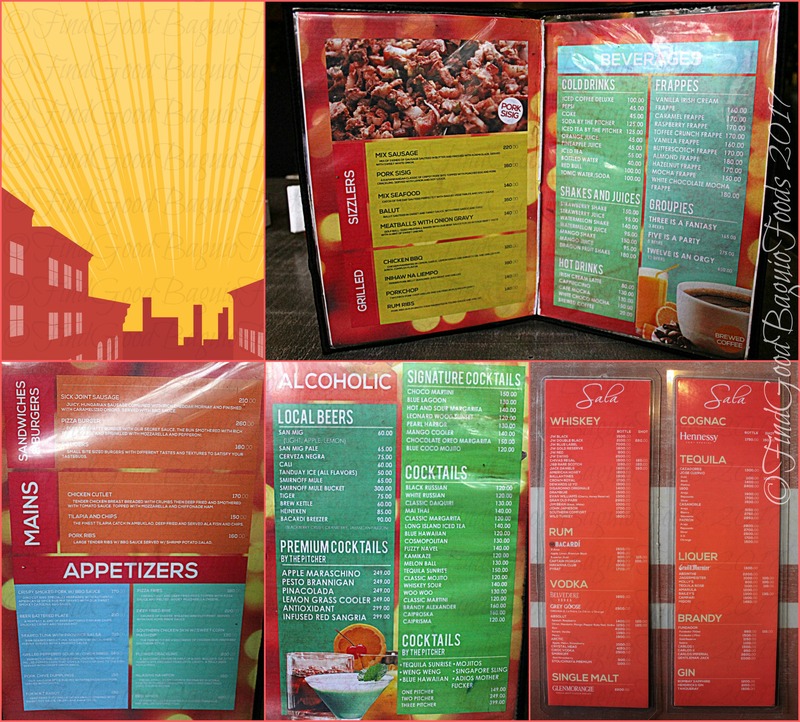 Find yourself famished in town, at Session Road? Do drop by Zola and/or Drop Out. At the more scenic side of the City of Pines, in Leonard Wood and looking to refuel? The Camp with Sala, Hardin, and Just Another Damn Good Sick Joint is ready to serve you scrumptious eats starting at 3:00 p.m. in the Sala. How’s about trying the dishes on our food tasting list? See what you think of them too. You might find your faves like I have. Happy restaurant hopping, food questers! ***Thank you so much, Ms. Pam for inviting X+1 to join you all in relishing in this food tasting. Uhaha, busy busy chompers. \m/ It was such a pleasure to meet you, Ms. Kimberly Kaye. Till next we all meet! More power! Kakagaling ko lang sa hacienda na wititit wifi at pagbalik ng dyosa may feature na ang best food blogger ulit. At ang daming nirampahan at lafang. Maging blogger na rin kaya ako para malafang ng bonggang bonga hehehe At Bet ko nga sa Sala ang Gandara Park ng place. Di ko pa natry sa Hardin at Drop Out dyan kami next. Hello there, Mario! Good timing this Zola/Drop Out/Sala/Hardin/Just Another Damn Good Sick Joint scheduled post then =b Welcome back! We sure did eat a lot. Two days busog. *hihi Yes, why not start a blog rin. 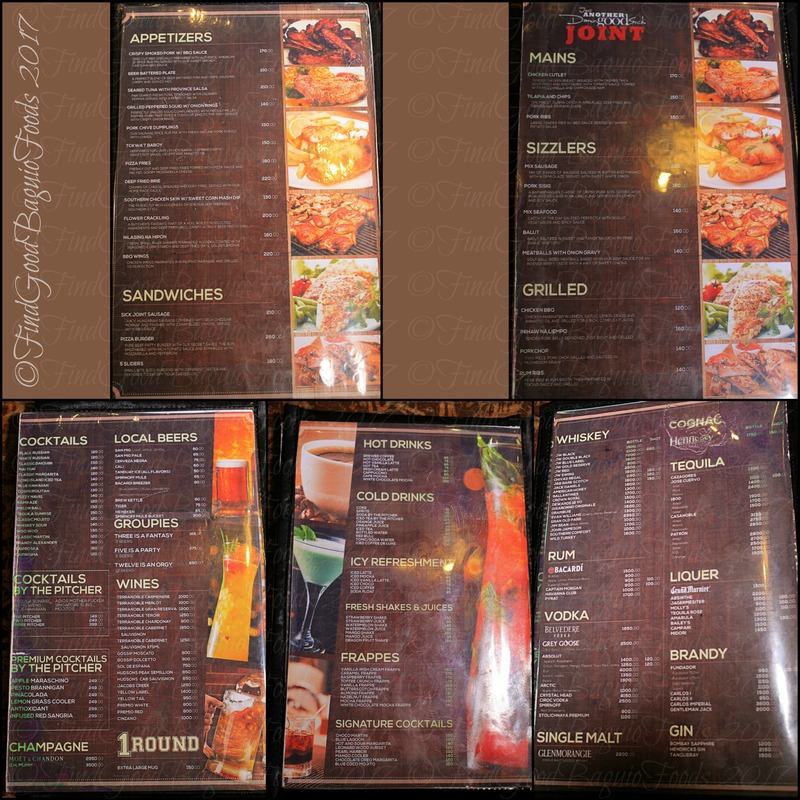 So many things to talk about … food palang. Go, go, go!